Abhorrent to the heat as usual, the Green Girl waited until the sun went down to go for a run last night. On my way down to the Shoreline Marina, I called one of the Sole Runners, Michelle, to see if she wanted to join me. She had just gone for a run with another friend but she agreed to join me. We parked across from Shoreline Village and followed the bike path out to Marina Green Park. It was an ineffable night for a run. 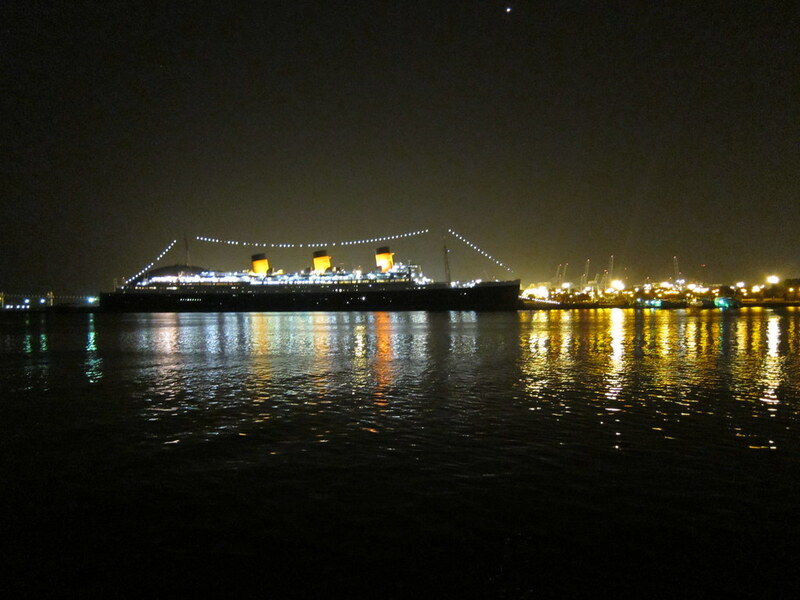 The city lights reflected off the water and danced on the gentle waves. 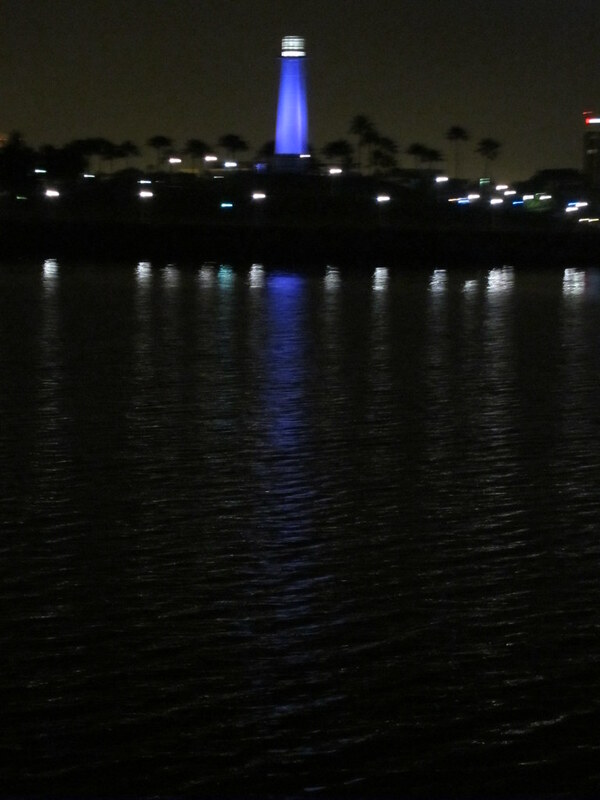 In the distance, we could see the Shoreline Aquatic Park with the Long Beach Harbor Lighthouse shining like a blue beacon in the night. 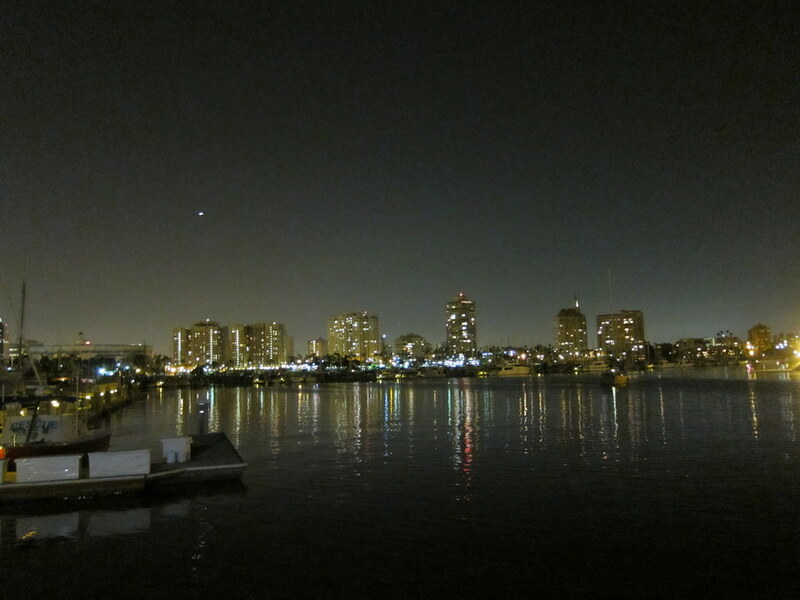 As we ran along the marina, we admired the majestic beauty of the Long Beach skyline. A plane flew over the horizon and appeared as a dot of light over the buildings. From dusk to night will always be my favorite time to run. I find a certain comfort in the solitude of the darkness. Sounds like a great run! I like the night from the other end. I love running when the pitch black sky gets lighter and birds start their morning songs and when most sane (and hopefully insane) humans are still asleep. All except me of course. Ewa, I guess you are a true early morning runner. ::smiles:: I must admit is a nice feeling when you've already gotten all those miles in and everyone else is just waking up. I'm also a morning runner, though living in the North, too many of my runs start and end in the dark. It's also difficult to run trails unless I'm willing to go to work a bit beat up. Yeah, I wished I could have trail run yesterday but it was pitch dark by the time I hit the road. I should probably get some practice running trails in the dark since I will be running in the new year with a night trail run at midnight. Beautiful pictures! I run early mornings and although winter mornings can be very cold I love the run in the dark part. Night runs/races are awesome. Next January I’ll be running a night marathon and I’m already looking forward to it. Thank you, Jill and Johann. Jill, I sometimes use my headlamp, too, if there isn't adequate lighting on my run. Johann, I would love to do a night marathon, that is so cool! Great photos! I'm reading that you desire to run a night marathon? Ever looked into the ET Full Moon Midnight Marathon in Rachel Nevada? Thanks, Glenn. Yeah, night is my favorite time to run and I'm always on the lookout for night races. Thanks for the awesome race suggestion, I'm going to mentally add that to my list of races to do. Good Luck, Sparkin' Hood to Coast!